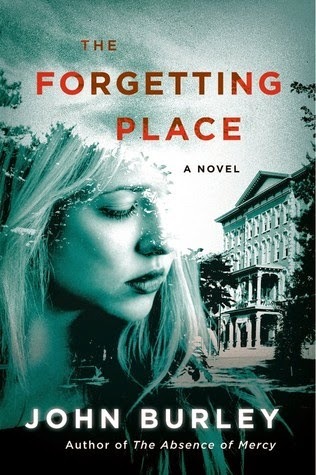 Goodreads: A female psychiatrist at a state mental hospital finds herself at the center of a shadowy conspiracy in this dark and twisting tale of psychological suspense from the author of The Absence of Mercy Menaker State Hospital is a curse, a refuge, a prison, a necessity, a nightmare, a salvation. Kritters Thoughts: Have you ever had a book completely screw with your mind and when it is over you want to read it all over again? If yes and you enjoyed it - pick this one up now! My second John Burley book and I am officially a fan and will read anything he writes even without knowing the premise. Dr. Lise Shields is a psychiatrist at a mental hospital in Maryland and a new patient arrives without any paperwork and she must find out why this patient is at her hospital. Interwoven through the big narrative are glimpses into Jason's past and Dr. Shields' past also and they are both within chapters of the story and have chapters of their own. This book took such a turn towards the end that I maybe could have predicted, but still felt out of left field and I loved it. I absolutely wanted to reread it to see the clues again with the end in mind. I want to divulge more, but this is one where a written review just won't suffice, if you were in person I would talk your ear off on this one! Don't you just LOVE IT when you find an author you enjoy so much that you'll read anything he writes?! What a treat!